The Jack Petchey Foundation works with UK Wallball to deliver this new, exciting sport to young people across London and Essex. Wallball is an awesome sport, played by hitting a ball against a wall with your hands. It’s a bit like squash without a racket, but far more accessible, far more inclusive and way more fun (at least that’s what we think anyway!) Wallball works brilliantly in PE lessons but it’s also a fantastic self-regulated break-time game that lets everyone get active. UK Wallball are delighted to be partnering with the Jack Petchey Foundation to launch an amazing pilot programme at 8 schools across London. 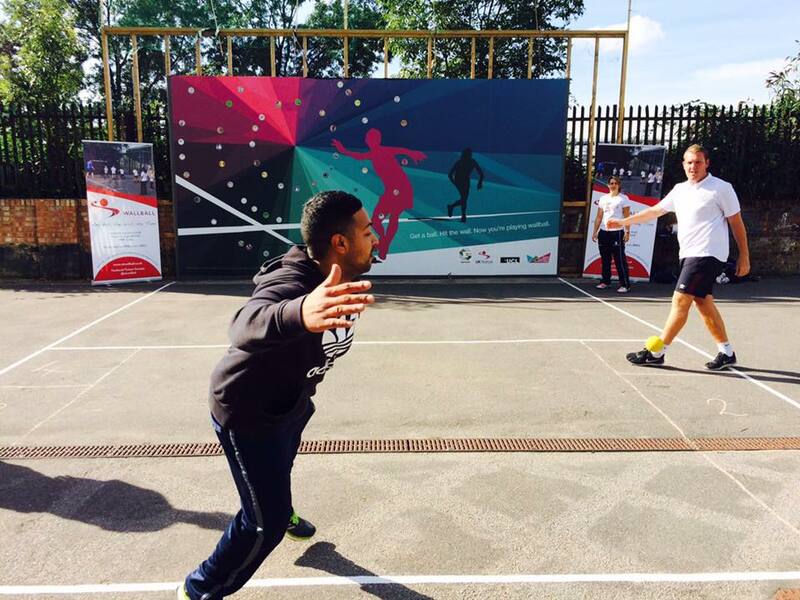 We aim to have over 2500 children playing wallball this year on the programme, which will culminate in the Jack Petchey tournament later in the year. Wallball provides something for all young people. It lets some shine at a non-traditional sport that builds character, all round coordination and communication. Participants may even find themselves competing for GB Juniors around the world! For others, it presents an opportunity to show off their artistic flare as some of our courts are also turned into street art murals. And, for everyone else, it’s a fun game which they’re in control of during sessions inside and outside of school. All you need is a ball and a wall and you’re good to go!